Today's post is one that I love. Not because of anything I am going to say, but because of the phenomenal women who took a moment out of their week to share some thoughts with me (and you). I have been blogging at Toddler Approved for almost two years. I originally started this blog when I was depressed (it was rainy and January) and I needed a little motivation to do some structured and fun activities with my son every day. I was struggling to get pregnant with my daughter, living in a new town with very few friends, and I was a little worried that my son would have Thomas the Train's Boulder episode memorized if I didn't intervene quickly. I started with one post and felt like I had actually accomplished something at the end of the day, so I kept going. The blog is now a great resource for me on rainy days when we are stir crazy or bored. It also is a place for me to channel my creativity and share the expertise I gathered as a teacher. I started blogging because I missed teaching. I missed not only creating lessons and crafts for the children to learn from but also the ability to help parents too. Basically I missed my job but knew I'd miss my then son (now son and daughter) too much to go back to the classroom full time. Now almost 4 years into blogging my motivation for blogging hasn't changed too much, it's still my professional voice ( mixed with my mom one of course) and it's not the paychecks that keep me posting it's the comments, thank you emails and pictures of happy kids doing my activities that do. I am so thankful to have been able to reach out and help kids learn while staying home with mine , not to mention I am a way faster typist than I was 4 years ago! I am very thankful for blogging because it has brought me people in my life that I would have otherwise never known. I would have never had the experience of knowing other bloggers from faraway lands (London, Australia, India, Italy, etc.). These people that I’ve met through blogging have the rare characteristics that I do. A love of play, and a love for their children. Yes, that is pretty common. But what makes it uncommon is that we all want to share it with the world and inspire others to love it like we do. I blog though because it is a visual and written reminder of not only what I have done with my kids, but it’s also a reminder that I need to be doing these activities with my kids. I blog to inspire others, yes, but that’s not the forefront reason. I blog to inspire myself most of all. Blogging has helped me rediscover who I am after long years of post-grad, work, and having two kids back to back. I remembered my creativity and what I love about life. I'm thankful for blogging because in some ways it saved me! I started blogging to help promote my “arts for children” business and then it turned into something much bigger and much better. Now I blog as a diversion from being a stay at home mum, as a creative outlet and a source of new ideas of things to do with my children. It keeps my mummy brain active and provides me with “work experience” to fill my CV with should I want to return back to work. Being a blogging mum has been the best job I have had to date (and I have had many). I’m thankful to blogging because it has brought me many friends, all across the world, who are enthusiastic, passionate and supportive. I learn from these friends all the time and it is helping me become a better parent. If I have a question about anything, I can turn to these friends for help and advice and without fail I will get an answer. I am also grateful to blogging, as it helps me enjoy my time at home with the children more. I am thankful for blogging as it provides a creative outlet for my brain and accountability that I am indeed doing activities with my kids. I am thankful for blogging as it has connected me, a stay-at-home-mom, with other moms. I blog because I enjoy writing, being with my children, and laughing. The blog enables a confluence of all of these. Blogging has opened doors professionally and socially. I have been told that it has positively impacted others. Some said they did more activities with their own children. Others said they ventured out into the community more or that it simply made them smile or laugh. It is a place to be creative and to become a better writer. I am thankful for blogging because it has provided a platform for sharing, laughing, networking, growing, writing, and most importantly, remembering. In all honesty, my reasons for blogging are selfish. It holds me accountable to doing activities with my kids and writing is something that I enjoy (and is actually quite therapeutic, in my opinion). I'm so thankful for blogging, however, because it has allowed me to meet some amazing people (both online and in person), has inspired many wonderful activities, and it has provided me with an opportunity to share my passions in life...my family, teaching, and God! I've chosen to blog about the things that are most important to me- creativity and connection with my children. I'm so grateful to have a chance to inspire other creative moms and to get a chance to live my values more fully. Writing about creativity and connection every day really helps me keep those priorities in focus. I am thankful that I can hop online from my own home, with messy hair and no makeup on, and not only share my own ideas but also enjoy so many bloggers who are out there sharing creative and inspiring ways to make learning fun and engaging for young children. This wonderful world of blogging inspires and motivates me to do my very best as a teacher every single day! I blog to share the artful joy that goes on in our home with those reading my blog so they will remember their own creative fire inside, and ignite and keep it burning brightly in their little ones. I love blogging! I'm grateful for the creative outlet it provides me. It keeps me on my toes and challenges me to do more creative activities with my girls. It makes me a better parent and for that I'm very grateful. I blog to share ideas and activities in the hopes of inspiring someone in the way that so many bloggers have inspired me. I'm thankful for blogging because it serves as a reminder that I want my days to be intentional and purposeful. I am thankful for the blogging community because it has provided me with ideas and inspirations to use with my own family, encouragement and support, and new friendships. I'm thankful for blogging because it has given me so many more resources to use to teach my son and expand his little world. i'm also thankful that i've been blessed to have developed an amazing network of other moms/educators that share my passion for working with children. To bring Play into the daily life of all families and schools around the world. Because Play gives us the freedom to be who we truely are! I am thankful for blogging because I can encourage adults to spend time connecting to the children in their life. Simple times with children, talking about what is important in their life can impart values and instill memories that last a lifetime. 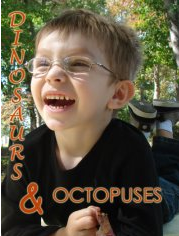 My blog provides simple, inexpensive activities, games, and crafts that help grown-ups impact their child's life. I am grateful because I am sure that I have learned far more in my year of writing CCK than I have taught my readers. I am very thankful for them! I started my blog when I gave up my full time teaching job as an early years and art teacher to stay at home when my first baby arrived. I've never looked back to teaching and now love writing a blog. For me it gives me just enough "me" time and independence to think that I'm still doing something grown up, but allows huge flexibility as I can stay with my two (nearly three!) children full time. I am so thankful to have found something that allows me to be creative, independent, connect with other adults, keep my hand in education and to be mutually inspired by some fabulous bloggers. I view it as an online CV for the years that I'm not teaching and a great way to record the activities that my children are doing. I didn't know anything about blogging before I started and am so thankful that I found it! I'm thankful for blogging because I find so much inspiration in it. It is truly bewildering how many creative ideas and fun ways to learn are out here. I love being able to share what we do and peek at what others do. Having this blog has helped me grow, learn, and get in touch with my inner child and creativity. In turn, those things have helped me be a better parent to my girls. practical information people share daily - absolutely for free. I blog to stay creative and share what I've learned, hoping to help inspire someone else with their families. I'm thankful for blogging helping me find my tribe. I've met some really great people, many who are some of my very close friends. Last but not least... my blogging partner EJ has a few thoughts. unmade beds) was much needed. Blogging has given me a greater sense of accountability, and has pushed me to remember that the sacrifices I am making now in spending time with and teaching my children are worth it. I am grateful for all of the amazing bloggers who provide daily inspiration and generously share endless ideas. K, so now that you've heard from all these creative and phenomenal ladies... Why do you blog? What bloggers inspire you? What are you most grateful for when it comes to blogging? We are so grateful for all those who read Toddler Approved and share ideas with us! We appreciate you! Have a Happy Happy Thanksgiving! PS- If you have any down time during your Thanksgiving vacation, come share your favorite post from November at our Best of November link up. We'll choose a few of our favorites at the end of the month and share them with you. It's so much fun to read everyone's responses to this! I feel like we are kindred spirits, and I'm glad to connect with so many amazing women via my blog. Thank you for giving us an outlet to voice our gratitude and reasons for blogging! I've enjoyed reading everyone's responses and I'm so glad that I could be a part of this post! This was a wonderful idea. Aaaah what a lovely set of thoughts, reasons for blogging and thankfulness. Thank you for including me and for bringing it all together. thanks again for this great opportunity. this is going to serve as a wonderful directory for me! when the kiddos are asleep tonight, you know what i'll be doing! What a wonderful post. Thank you for pulling this together. We are so very thankful for all of you for your amazing ideas and encouragment to keep us actively engaged with our little ones and creating lifelong learners. wonderful to hear from so many why they do what they do... we live in such an interconnected world. first time visiting your site, I'll be back. I loved reading what all these fabulous ladies had to share. I was amazed how each and every thought resonated with me -as if they were giving voice to me feelings on blogging, motherhood, creativity and children. One of the best parts about blogging for me is the number of like-minded people/friends I've 'met' and come to know from all across the world. And yes, blogging for me is not just an attempt to share our creative journey but also to inspire myself to continue to explore more creativity and open-ended learning with my child. @Rashmie- I completely agree with you! Thanks for sharing your thoughts with us. @Deborah- thanks again for the help figuring some things out for this post. I appreciate you sharing your thoughts!! Though I blog, I don't blog at the height of delight as those of you I admire so. But I do blog. And each time I post about art for kids, or share some interview with someone inspiring and magical like Mr. Rogers or Bill Martin Jr, or tell a touching story about real people connecting with creativity, a surge of reaching others filled with creative happiness flows through me. Perhaps my post will touch the life of a child, and that for me is why I blog. so wonderful to read all these! Very inspirational for sure. Thank you for inviting me to share among this amazing group of bloggers. 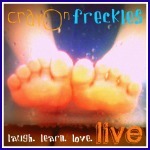 I have started blogging very recently and am really enjoying it http://creativefunmum.blogspot.com/. 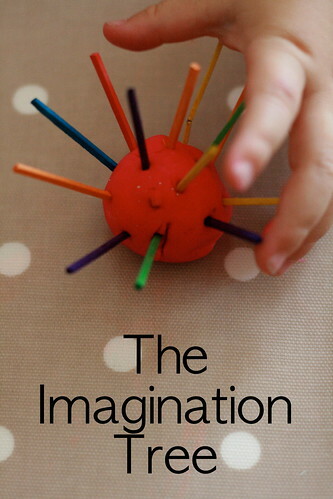 I love all posts from other blogs about creative ways to experience learning with our children. Toddler Approved you keep inspiring with all your wonderful posts.